A creamy white gardenia bloom soap flower inspired by the kindness of a graceful day. 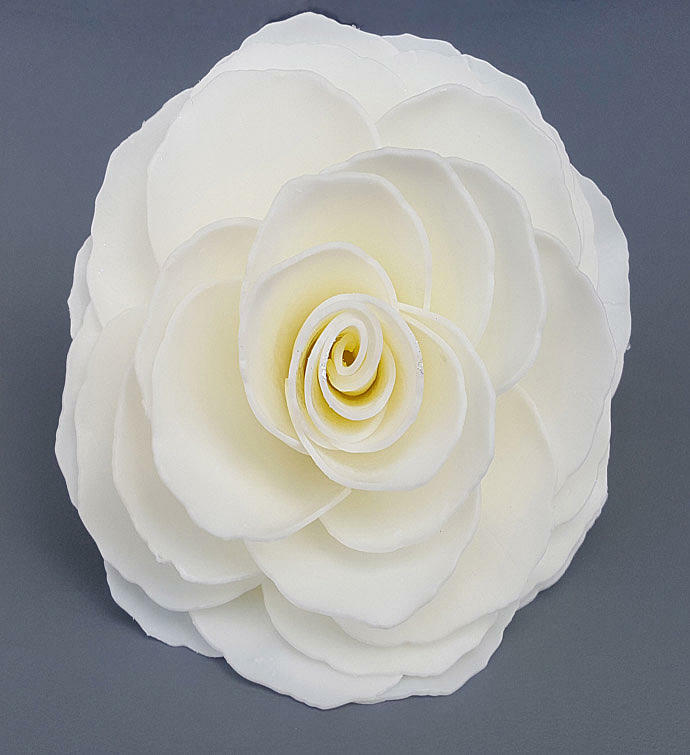 This blossom has a gardenia scent reminiscent to the fresh gardenia flower. You'll feel wonderful smelling your fragrant gardenia bloom and using the silky, lathering petals on your skin. Petal stand Included. A favorite gardenia fragrance, the refreshing floral aroma of summer time gardenias and elegant lilies. A creamy white gardenia bloom soap flower inspired by the kindness of a graceful day.This blossom has a gardenia scent reminiscent to the fresh gardenia flower.